OCEAN FRONT! 4 Bedroom 3 bath Home with Beautiful Private Pool right on the Beach! OCEAN FRONT house perfect to relax in the sun and sand in the 4 bedroom, 3 bath Orchid House. Dip your toes in the sparkling blue pool or bask in the sunshine on the ocean front sunning deck, stay tucked away from the world or stroll down to Coligny Plaza for an afternoon of lunch and shopping the choices are limitless! Upon entering the home, this main level of the home gives you direct access to the oceanfront pool and the sunning deck . The Master bedroom with private bath has a King bed, flat screen TV and sliding door out to the pool. Bedroom #2, also on this level has 2 Twin beds, a flat screen TV, and sliding doors out to the pool with full bath just across the hallway. The large oceanfront swimming pool (heatable for an additional fee) is hidden away from passerby's view by the lush landscaping. The dune's grasses and sea oats sway in the breeze while you paddle in the cool waters or sit on the built-in bench and watch the children play. A few steps up from the pool is the oceanfront sunning deck with Adirondack style chairs, sit in the sun with a book for hours and never leave your backyard! 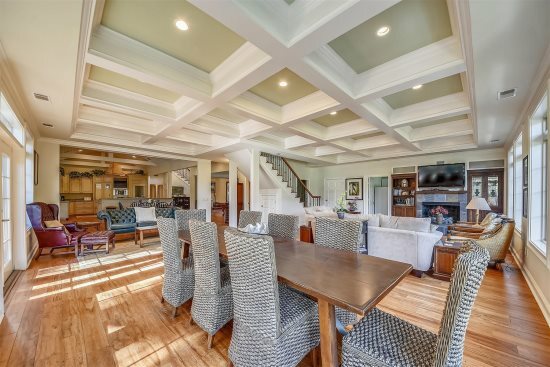 The second level of this home has a large Living room, TV/DVD, Dining room w/stereo and fully equipped Kitchen. A large sliding glass door off the living room leads you out onto the screened-in porch that runs the entire length of the house. Your oceanfront view from the porch is spectacular and is the perfect retreat from the evening creatures, a card game or to just sit and listen to the surf! Bedroom #3 has a King bed, Flat Screen TV, sliding door out onto the screened-in porch and shares the full hall bath with Bedroom #4 that has 2 twin beds and a flat screen TV. 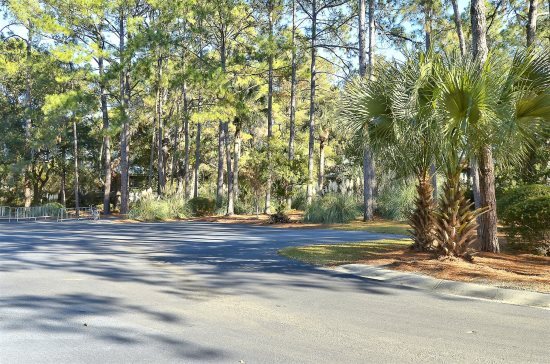 This home is on Dune Lane between Quail St. and Robin St.
Forest Beach stretches along the Atlantic Ocean between Shipyard and Sea Pines Plantations. Bike paths and neighborhood lanes on North and South Forest Beach eventually draw one to Coligny Plaza, the hub of the Forest Beach area. While competing with the natural beauty and lure of the beach, the plaza offers a variety of shopping, dining, and fun entertainment for the whole family. Limited parking: 4 cars max. Your team members were very accommodating and friendly. I loved having access to the ocean at my finger tips. I loved the sunrises and my finds on the beach. I found my first sand dollar, complete! We totally enjoy your service and the beach house we rented. I will be calling this week to talk about renting again next September and will be looking at 3 weeks as we have done two weeks the past two years. Bringing our dog is always a huge plus! We really loved our stay at 127 Dune Lane! Your staff has been really friendly and overall, responsive. We were fortunate enough to be able to stay in HHI for 10 days and were very happy that you could accommodate our entire stay at 127 Dune Lane even though we arrived mid-week. That was wonderful not to have to move from a condo to the house over the weekend during the middle of our vacation. We were also permitted to stay until noon on the day of departure (we had a late flight and were traveling with small kids so needed to find some ways to pleasantly fill our time before we left HHI) -- we GREATLY appreciated that option! Made the day a lot smoother than it could have been. We will definitely be looking at Sunset Rentals next year when we come back. Thanks for a wonderful experience! Everything was perfect, can't wait to stay again! Location is great and kitchen was well supplied.I had a good time with family and was glad beach was so close.